Help promote financial literacy with our free educational and consumer resources. 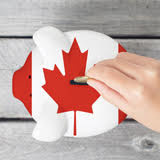 This Financial Literacy Month, Visa Canada has partnered with the Toronto Public Library to ensure all library patrons have access to the tools they need to mange their money wisely. 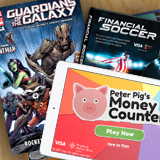 Credit card education resource CardRates.com features Practical Money Skills materials, from Peter Pig's Money Counter, to the Guardians of the Galaxy comics, to auto loan calculators. Interactive learning materials based in tech can help increase retention, engagement and fun. Whether they're developing financial skills in the classroom or at home, this guide helps students ages 10-15 learn how to manage money. As National Financial Literacy Month kicks off in November, Visa Canada is pleased to provide personal finance resources at the Financial Consumer Agency of Canada's National Conference on Financial Literacy on November 3rd in Montreal. 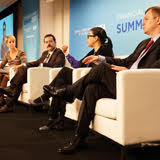 Visa and the Federal Reserve Bank of Chicago celebrated their 11-year partnership co-hosting the Financial Literacy Summit on April 12. The 2017 program focused on bridging gaps and overcoming barriers to universal financial education.